Originally launched as a Kickstarter by indie developer Parabole, Kona has been a long time coming, and now, after spending a year on Steam Early Access, it’s finally available on PC, Xbox One, and PlayStation 4. Stepping into the shoes of private investigator Carl Faubert, the sleuth is off to meet his latest client, a rich industrialist when he’s run off the road. Lost in a freezing blizzard, trekking through a frozen ghost town, Carl discovers there’s a much bigger mystery to solve here. Set in 1970s Canada, Kona VR is primarily a hard-boiled detective story, an adventure game with a touch of survival, a little crafting, and a pinch of horror. 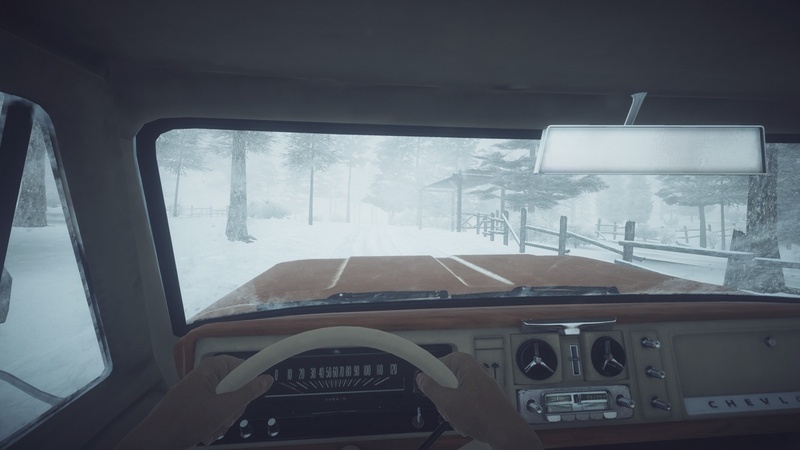 Playing in first-person, Carl steps from the crash of his car into a white covered wilderness; with little time to warm up, and heal up, he has to proceed from one place of respite to another, ensuring his health, stress, and heat levels all remain positive. Each little location or building has little puzzles to solve or essential equipment to collect. Carl’s story feels like an old-school mystery movie, or perhaps radio play, with an ever-present narrator giving snippets of exposition, hints to what to do, and story developments along the way. With the icy conditions, heat is often the biggest concern. Straying too far from a safe space or exploring into the wilderness too long results in a quick death thanks to exposure. Heat sources serve a dual purpose, preventing Carl from freezing to death and acting as save points within the game. However, it’s not a case of just stumbling upon a roaring bonfire. To ignite the potential hotspots, Carl has to track down materials to spark a little warmth. Of course, carrying items around to light fires means focusing on another familiar element of these types of games, inventory management. Carl has a limited amount of room and, inventory management becomes a key element, stocking up of firestarting goodies means less room for health packs. Those health packs are a necessity when the ever hungry wolves come calling. Carl can use the boot of his car for some portable storage but backtracking to it can be tricky when exploring. The wolves are a threat, but they are what makes the game tense; it’s the unknown. While the game is not billed as a horror affair, there are plenty of moments where the tension and the sense of dread escalate higher and higher and convey a genuine sense of unease that most horrors would kill to pull off. While Kona has been available on other platforms for some time, the VR functionality that was promised in the original Kickstarter had yet to materialise. Until now. Strangely, launching first on PSVR (although it’s now available on PC, too), the VR is sold separately for £5, or bundled with the game for £15.99 (saving a massive £1). This DLC allows the whole game to be experienced via the PSVR headset and it’s an absolute must-buy. 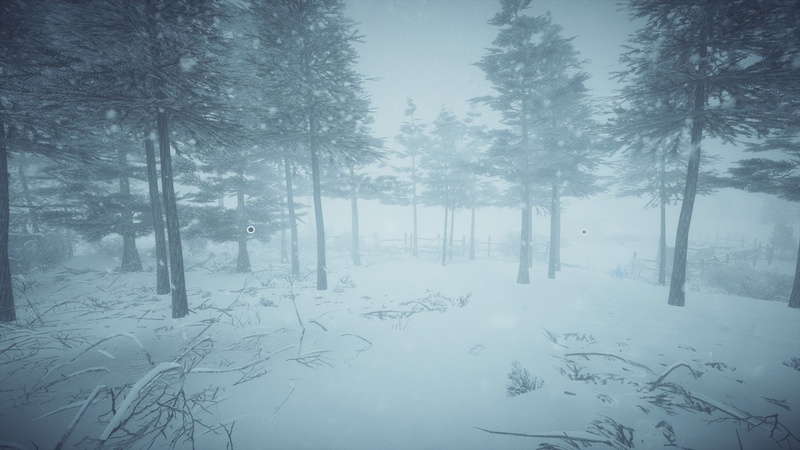 While the graphical limitations become all the more evident, the atmosphere and immersion go up massively. 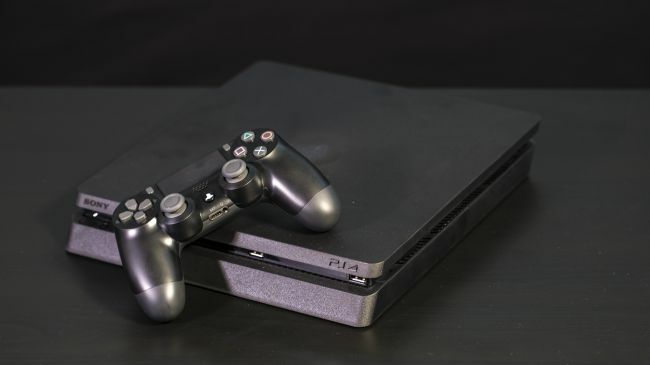 The developer has also learnt something so many others often get wrong, allowing the player to choose their method of getting around. There are three different options to switch between based on each individual’s preferred method of VR locomotion: node teleportation, free teleportation, or free movement. The icy temperatures aren’t the only things causing freezes during the game, though. It regularly hits performance issues. A spinning loading wheel pops up in the centre of the screen and it all pauses. Like a poor connection trying to stream an HD film. This can be horribly immersion breaking and hopefully something the team is looking to patch out. As problematic are the assets of the game; it feels terribly low budget to see the same assets recycled over and over and over again.